I bought these pjs for P at the Gap at the beginning of summer. On our trip to Seattle in June we bought her this doll. Out of sheer coincidence the doll’s outfit almost matches P’s pjs. 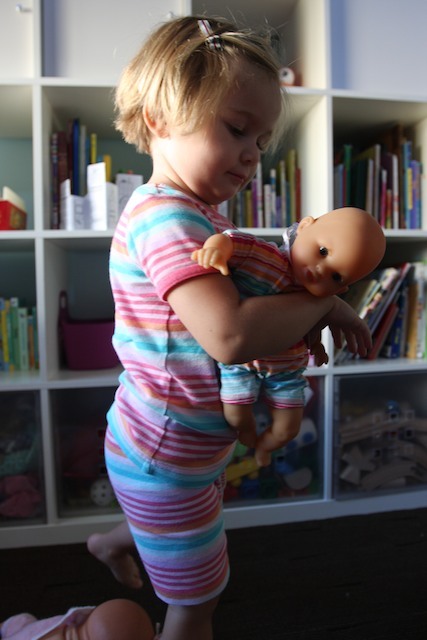 It’s too cute to see her holding her doll with practically a matching outfit. She gets a kick out of it to.